John Pritz – Knife Sharpening – Target World Inc.
John Pritz is a Target World Sales Associate and Range Safety Officer. He’s had a lifelong attraction to edged tools from knives of all kinds to axes, hatchets, cleavers, kitchen tools, chisels, carving tools, hawks, and spears. Our workshops will showcase instruction and demonstrations of convex sharpening using a variety of equipment from simple leather hones and strops to belt sanders and portable electric sharpening devices. We’ll review the more common beveled edge sharpening practices and equipment used in that process too. We will facilitate a general discussion on knife maintenance, steels and steel selection as well as handle materials and sheaths. We will not do any deep dives on metallurgy nor will we debate at length the relative performance of the various super steels! It’s “Knives 101” for everyman! Each participant in the class will receive a leather hone loaded with green compound and some wet-or-dry sandpaper to use in practicing the convex technique. An additional 5% discount will be extended to participants on knives and knife accessories on the day of the workshop. Bring a knife or two and a friend for a laid-back day of all things sharp! Look here for our class postings, or here to request more information! I'm a new shooter and have been here a few times. So far so good. The staffs are helpful. The shooting area is newly renovated. Great place to shoot! My son has received two excellent lessons from Shannon and we will be taking him monthly from now on. Our entire family enjoys the range and appreciate the welcoming atmosphere from all who works there. Target World handled the transfer of two handguns my father gifted me exceptionally well. The weapons belonged to my grandfather, so I was relieved when they arrived, and that someone was courteous enough to give me a call to let me know they'd come in. They were very polite during background check and paperwork process, and even sold my wife a nice picture of some Pheasants that wasn't even marked for sale. Very professional and friendly staff. We will both happily continue to do business here in the future, as well as use their range. Thank you! Great place. Took a class, the instructors were very knowledgeable and weren't watching the clock, they even took an extra 30 minutes to go over a few questions we had. I recommend Target World very highly. Also, I just read all of the reviews, I have never experienced any of the comments made in the negative reviews. Great staff, extremely helpful and patient and they treat you will tons of respect. Nice clean range, love the fact that they check the shooter's efficiency before they're allowed onto the range. Good staff and nice atmosphere! RSO is always conscious of what's going on on the range. Very professional, knowledgeable, and friendly. Took my son here for a couple of classes and the instructor John Pope was excellent. The facility is first class. Nice store upstairs for reloading supplies! Ty and George easy to ask questions and get answers. This review is long overdue. I started attending Target World exclusively since my bad experience at another local range *cough* man on the stool *cough* was rude to me for a clerical error THEY made, along with other comments that put me beyond ever returning. Anyway, Target World is the polar opposite. They have state-of-the-art range lanes and are very sizeable. The staff is incredibly polite, friendly, and professional. Whether you are a new shooter or experienced, they are great to work with. The prices are fair and as long as you adhere to all safety rules, you will have a great time. The upstairs shop has me like a kid in a candy store. I have been visiting this range for at least a couple years now, have brought many friends and my wife who is a new shooter and we all appreciate this facility. Continue to do you guys, you've got the competition beat and they know it! Today I gave Target World a try. I had no idea how nice a range it was. I was greeted by Matt who helped me through their range orientation process . Once inside, I found a clean facility with modern equipment. I had a great experience. After shooting Matt prompted me to check out their gun shop on the 2nd floor. Wow, impressive. Check it out; I'll be back! I went there to use the range. The facilities were very nice and well kept. Staff was very friendly. They seemed to have a good selection. I am giving a 4 out of 5 star because they have a policy stating you must be 21 to use the range, even if you are using a rifle. The gentleman explained this is for insurance purposes, which I can understand. It’s just frustrating to be qualified to purchase a long arm and ammunition for said long arm, but not be able to use it at their own facilities. Would most likely come back when I am 21. As a beginner, I found Dan Carr to be an excellent trainer. After just one lesson I felt more comfortable handling the weapon and understanding the basics of gun safety. I can't say enough positive things about Target World. Each visit is a pleasurable one and I learn so much. I have been taking lessons with Shannon to build confidence in shooting and narrow down a selection to purchase. I am constantly recommending Target World to friends. Thank you for all the staff at TW for always being so welcoming, positive and willing to help! 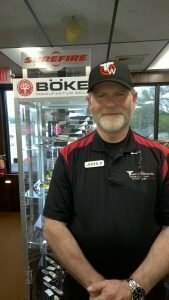 I have been a member at Target World since December 2017, have purchased multiple items there, and have taken firearm classes from Dan and have ALWAYS received 5-star treatment from the staff. 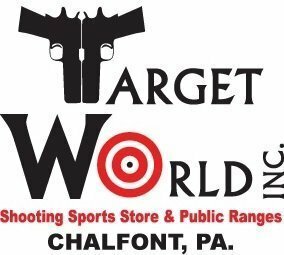 As someone who has previously visited other firearm retailers and ranges, Target World is the go-to place for novice and veteran shooters alike. The range is modern and run well. The shop is well stocked and well staffed. Overall high quality... It's generally not the cheapest option, but my preferred range and I'll buy supplies there. Better prices online, but this is a good place to shop local if you can. Had first instruction with Shannon. Very comprehensive; covered the exact areas I was needing. Fine teacher. Took a beginners lesson with Shannon and couldn't be more grateful. Shannon is an amazing teacher and did a really good job of molding the instruction around me as an individual and why I was getting into shooting. Really can't thank them enough and I'll be back for more instruction from Shannon. I really like how they cleaned up the indoor shooting range! Many times when I would shoot my .44 Magnum I would get cuts from the copper as the bullet would hit the backstop. That is now a thing of the past now. They have really refined the range and greatly improved on the air circulation system.👍 I am also a very big knife collecter and they alway seem to have knives that I can't find unless I go to a knife show. They have a great display of knives for whatever you are looking for. They also carry pretty much anything your looking for, when it comes to trap shooting, Archery, Reloading, clothing for all weather, Ammunition, rifles, handguns of all calibers, targets, Top of the line safes, and just about anything else you need. Be it for law enforcement, hunting, or simple target shooting. When I visit there, I usually end up like a kid in a candy shop! Keep up the good work fellas! Never been to a range or shot a pistol in the past. Met with John Pope who walked me thru the basics of handling/using a pistol then on to the range. John's instruction I thought was thorough, focused on safety, takes his time explaining the nuances and helped me through the first time on a range. All in all a great experience. Enjoyed it enough that I signed up for a second lesson with John. Excellent selection of products. Extremely courteous and helpful staff. Great instructors and range facility. Had a membership here for almost a year now and it's a great place to shoot. The range prices are very reasonable, you can rent firearms at the range too. The staff are consistently friendly, knowledgeable, and helpful. Upstairs from the range is the store where they have a large selection of ammunition, accessories, new and consignment firearms, and a section for hunting bows. They have their FTL so you can also transfer and ship firearms (for a fee) if you need to. This was very handy when I had to send a recent purchase back to the manufacturer. I had an excellent time shooting here this past Black Friday. Very friendly, knowledgeable staff. They were quick, articulate, and helpful in explaining things to inexperienced shooters, and allowed more experienced shooters to go about their time in the range. They were not pushy, or bossy in any way. I would recommend this place to anyone looking to shoot indoors in the area. Went with my 2 boys for introductory class. Was very informative and well structured. Class is an hour, and we stayed for an hour on the range, we were able to shoot with 2 different types of guns, under the direct supervision of our instructor Chris OBrien. Very friendly staff. Enjoy going there and I recommend everyone who loves going to the range to give them a try. They always are there to help you become a better shooter. My wife and I had a great experience with firearms instruction with our instructor Lisa, she was great working with both of us and we felt very comfortable and walked away feeling more confident about our shooting skills. We highly recommend Lisa as an instructor for anyone learning for the first time or getting reacquainted with shooting if it's been a long time. Thanks Lisa! I would highly recommend Shannon as an instructor. He is very patient and pushes you to expand your skills with each lesson. He has a great understanding of the intimidation one can feel from handling a gun and makes you feel safe, at ease and in-control at all times. In addition the Target World range staff are very helpful and courteous at all times. Just took my third lesson with Shannon, and I am not sure who was more excited about my progress! Shannon has been patient, exacting, and down right fun to take a lesson from on how to use a handgun. While safety is his first priority, Shannon has pushed the envelope with me, and it has paid huge dividends in increasing my ability to use a handgun, my accuracy, and my confidence on doing this task correctly. I would recommend Shannon to anyone who wants to enjoy shooting a handgun the correct way, and have fun in the process. Bob, Jr. Took the son out to examine CC options and blow off a box of 9's and half a box of 45's. The staff was great in explaining the various options and related CC costs. The sales guys especially Ty, were experts in CC size items and worked to fit him with glove level love in a price that fit. I find that the staff at Target World have been very helpful and give me what ever assistance needed. The competence of all staff have been reassuring for me as a new interested participant in the art of self defense. I highly recommend Target World. Five stars. As a new shooter I was somewhat apprehensive about taking this path. I can't say enough about this staff and facility. From my first phone call and conversation with Pat and after two lessons, one with Shannon and another with Lisa, I have an appropriate firearm and know how to shoot it safely, reasonably,and accurately. I can disassemble, clean and reassemble my semi. I was never uncomfortable or made to feel stupid. I am impressed with the safety standards and will be a regular visitor to this outstanding facility. I decided to learn how to shoot a gun. After taking the NRA course, I needed to find a place to practice, practice, practice. Yes, the first time my husband (a somewhat experienced shooter) and I decided to go to the range, the attendant did assume we were very much a novice. However, I think he had safety in mind and didn't assume we were yahoos. One week later I purchased my gun there and the attendant asked me what I thought were appropriate questions, had me dry fire 6-7 guns to feel the grip and overall balance. It took almost 2 hours but I felt it was well worth the time spent finding "my gun". I have also taken a lesson with Lisa who I highly recommend! She was safety conscious, tapped into the knowledge I had from the course, made some minor corrections on hand position, etc. She was very knowledgeable on firearms, had great teaching technique, and I plan to do another lesson with her! It was money well worth spent on learning better technique. This is my first gun range I've ever been to. The staff members were really helpful in helping my load my gun better. I think it is in their best interest to help their customers though since they get all levels of gun owners coming in. They have all you need for rent, but I preferred to save some cash by buying my own bullets. Large gun store on the top floor and the indoor gun range is effective. The staff was knowledgeable and friendly. Good for beginners and experts alike. Personnel are very helpful and knowledgeable. Lisa is a great instructor, very informative and professional. Advised me well in the purchase of my first gun and made me get comfortable with it. I highly recommend this place. High end shooting range with a great safe and gun shop to boot. The staff is knowledgeable add friendly. Highly recommend! It was quiet a while since I have been to Target World, so I took an afternoon to check out the renovations I've heard about. Upon arrival, I was greeted by one of the staff and was asked to fill out the necessary paperwork. Since it was 2+ years since I last visited this range, starting as a new customer was necessary. Understandable. I was then asked to answer some basic firearms questions and given a brief firearms tutorial. Now, here is where my review will differ from some of the negative reviews I have read. As an experienced shooter and range-goer, I do not take offense to the way they treat people they do not know. I have been to many, many ranges and seen many very unsafe situations. If you are an experienced shooter in the firearm community, you should be excited to see a facility taking safety so seriously. It takes the little edge off not having to look over your shoulder constantly looking for unsafe practices, especially because the staff can easily monitor the range from behind, not via a camera. Overall, a great experience. Had a nice talk with the owner after about the upgrades done recently. Practically a brand new facility, with nothing else like it around. Safety, Safety, safety.